All players ranked outside of the top 64 on the two-year ranking list, who have joined the tour for 2015/16 on the first year of a two-year tour card. 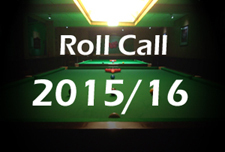 The top eight players ranked on the European Order of Merit, not already qualified as above. The top two players ranked on the Asian Order of Merit, not already qualified. Who will finish in the top 64? 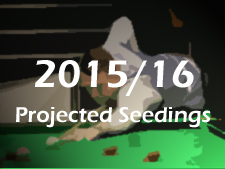 Though it remains impossible to say with certainty what the final amount of money required to stay inside the top 64 will be, in 2014 we saw Jimmy White take the 64th and final spot with total prize money of £48,692 across the previous two seasons, while this year the bar rose to £54,582. With prize money generally having risen in the early rounds of events, but earning opportunities reduced this season by the removal of the Wuxi Classic and Indian Open events from the calendar, I would expect the final amount to perhaps fall somewhere between these two figures. Importantly, these players will all earn a one-year tour card for the following season, but will retain their prize money earned, rather than start again from zero, as those qualifying on a two-year card by any other means will have to. Who is on the first year of a two-year card? Simply put, those players who are safe due to being on the first year of a two-year tour card, are those highlighted in green on the latest provisional end of season rankings page. For everybody else, I will consider their prospects individually below, highlighting where they currently stand on the three respective lists and trying to summarise how they stand overall. In the circumstances, while players above could still fall back into the danger zone with a bad run over the coming months, for the purposes of this article I am going to look at this those currently 56th and below in the latest provisional end of season list. I have colour coded the competitions below to show at a glance how each player is currently positioned in each list. For the Asian Order of Merit, as no events have yet been staged, I have at this stage indicated whether they have chosen to enter AT1 next week. Summary: With a lead of over £7,349 to 65th placed Cao Yupeng, Robbie Williams is currently well-placed to retain a place inside the top 64 at the end of the season, probably needing to win another £15,000-£20,000 between now and the Crucible to be absolutely sure. As a fall-back, he also has a healthy position on the European Order of Merit, with his total of £2,775 at the halfway mark of that series already higher than the £2,583 that proved to be enough for James Cahill to earn a new two-year tour card last season. 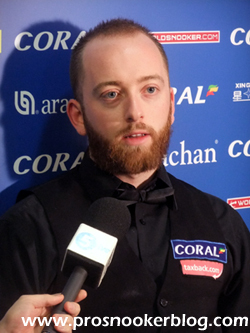 Another couple of wins the in the three remaining European Tour events would surely be enough to consolidate his position and take the pressure off his shoulders for the remaining ranking events. Summary: Having agonisingly missed out on a place inside the top 64 with an early exit at the World Championship qualifiers a couple of years ago, Sam Baird will be hoping to make it second time lucky this time around and give himself a platform on which to continue to climb the rankings. 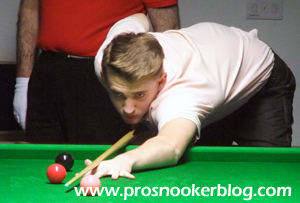 It has though been a difficult start to the season for Sam as he has won just two matches so far, recently losing to Chinese talent Zhou Yuelong in qualifying for the International Championship. 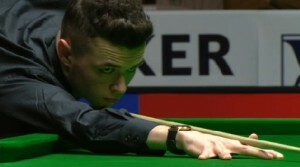 Thanks to his strong campaign last year he does remain well placed, but will be hoping get back to winning ways sooner rather than later, with a big first round match in prospect next month at the UK Championship. Summary: Thanks to his surprise final run at last weekends Ruhr Open, Tian Pengfei is already certain to retain his professional status next season by virtue of his position on the European Order of Merit. Of course though, he would much rather do so by finishing the season ranked up inside the top 64 and is now well in contention to do so. Summary: Enjoying the best spell of his professional career to date, one of this year’s Crucible debutants Craig Steadman now finds himself up inside of the top 64 on the latest provisional end of season ranking list. Of course it is important to note that he does currently remain outside of that bracket on the official ranking list and so does not have the benefit of ‘easier’ opening round matches at events. As with the others in this list, his opening round matches at the remaining big money events will be crucial, while he will also be targeting wins during the season’s remaining European Tour events as a fall-back. Summary: On course to finish the campaign up inside the top 64 for the first time, Oliver Lines has enjoyed a strong start to his professional career so far. As mentioned with Steadman above, he does continue to face higher ranked opposition from the off in ranking events, but unlike Craig he has enjoyed strong results at European Tour events so far and would currently qualify for a new two-year tour card via that route if he were to drop out of the top 64 on the main list. 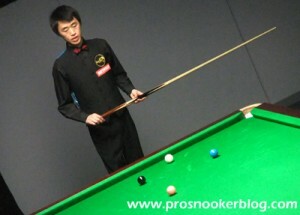 Summary: Again similar to Steadman’s position, the tour’s youngest player Zhou Yuelong has performed well enough so far during his first two seasons on tour to have given himself a real chance of a top 64 place at the end of the campaign. That said, he has won just one match on the European Tour to date and so has no safety net as it stands, should he fail to crack the top 64. 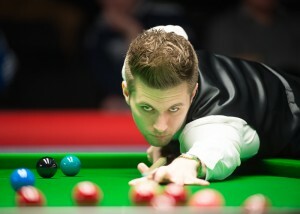 Summary: Ireland’s David Morris enjoyed an impressive victory against Mark Selby at least year’s UK Championship, but has since failed to recapture that form and so finds himself uncertain of his tour place for next season, despite having ended last season ranked 51st. 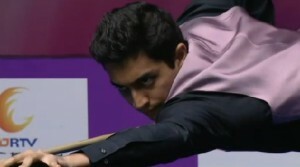 Unlike some of those above however, as a current member of the top 64, he does of course enjoy the advantage (on paper at least), of playing those ranked below him early in ranking events and so would back himself to win opening round matches at events such as the UK and World Championship this season. Again though, he has not performed well at European Tour events so far this season and would not currently finish high enough the European Order of Merit to retain his tour position that way. He has also not entered the upcoming Asian Tour event in Haining Open, seemingly cutting off another avenue for tour survival. Summary: It has not been Liam’s first spell on tour, but it has been his best as his results so far have been strong enough to put him into contention for a top 64 place by the season’s end. Again, the usual caveat of not currently being ranked inside that bracket applies, while he has so far been unable to win a match on the European Tour and has declined to enter the Haining Open. This means that his full focus will likely be on a top 64 position now, barring multiple wins at the season’s remaining three European events. 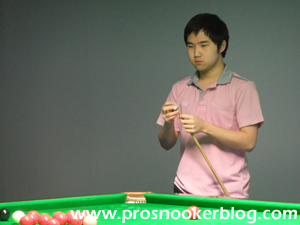 Summary: Currently sitting on the cusp of the top 64 cut-off on the latest provisional end of season ranking list, Yu Delu finds himself in a similar position to David Morris as described a couple of places above. He has however chosen to enter the Asian Tour event and so could strengthen his position with a good run on home soil in Haining. Summary: With a small deficit to close between now and the end of the season, Cao Yupeng is currently far from certain of retaining his professional status for next season. He did however win a crucial match at the recent International Championship, not only to qualify for the venue stages of that event, but to retain his current top 64 position on the official ranking list and the seeding advantages that come with it. Summary: Former rookie of the year Ian Burns has enjoyed another successful stint on tour so far and with £3,000 already earned from European Tour events so far this season, looks well placed to continue on tour next season already. He will though be hoping to do so as a member of the top 64, allowing him to retain his current prize money earned for ranking purposes, rather than again seeing his total reset to zero. Summary: Currently ranked up in the seemingly safe position of 43rd, Gerard is in fact set to fall later this season, as the prize money earned from his run to the final of the Players Championship Grand Finals back in 2014 is soon set to be deducted from his ranking total. As with the likes of Morris and Cao above, his current seeding should help him in terms of draws at this season’s remaining full-ranking events, while he is currently in contention to retain his status via the European Order of Merit, but will need further wins to do so. Summary: Having made it up into the top 64 for the first time in his career by qualifying for the Crucible last year, Stuart Carrington will be hoping to repeat the feat somewhat earlier in the season this time around. Needing to make up just under £5,000, this still remains a realistic goal, particularly as the pressure of his tour situation has at least been eased by his strong start to the European Tour season, with over £3,500 already in the bank. Summary: A shock name to some on this list, having enjoyed a higher ranking of late following his run to the final of the Indian Open, Aditya Mehta has work to do if he is to continue as India’s sole professional player beyond this season. 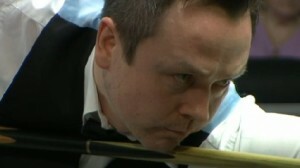 He did at least aid his chances by winning a couple of matches in Mulheim last weekend, lifting him into a high enough position on the European Order of Merit to retain his place as the situation currently stands. Summary: Over £7,000 away from breaking into the top 64 by the end of the season at present, Zhang Anda has work to do if he is to retain his professional status next season. 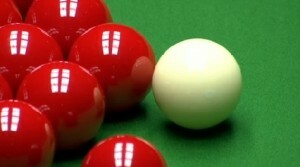 He is however within touching distance of the current qualifying eight from the European Order of Merit and has entered the Haining Open, so will be targeting those events in particular as he looks to make certain of his position. Summary: Joel finds himself in a similar position to Zhang above, but with £1,500 less to his name and having not elected to enter the Haining Open next week. There are still more than enough tournaments remaining for him to mount a charge for a top 64 position, but at present targeting another three or four wins on the European Tour looks to be his best chance of earning a fresh tour card for next season. Summary: Unlike his son Oliver, Peter Lines faces an uphill struggle if he is to retain his tour status beyond the end of this season, finding himself almost £10,000 away from the top 64 on the latest provisional end of season list. 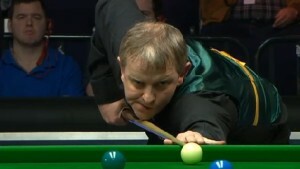 He has though entered the Haining Open and is within a win or two of where he would need to be on the European Order of Merit, so upcoming tournaments in Sofia, Gibraltar and Gdynia are likely to be crucial for the 45-year-old. 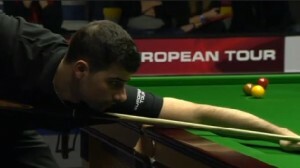 Summary: Having made a strong start to his return to the professional circuit in 2014, Michael Georgiou nevertheless faces a challenge if he is to avoid Q School at the end of the season. Again, the European Tour would look to be his most realistic opportunity, while he will also be in Haining next week. Summary: While a top 64 place at the end of the season would appear to be unlikely for Mitchell, he has so far done enough this season to be in realistic contention for a new two-year card through the European Order of Merit. Currently in a tie with Gerard Greene for the final such spot however, further wins will be needed if he is to be sure of his position. 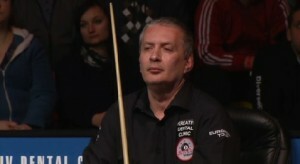 Summary: An ever-present on the tour since 1991, Anthony Hamilton has found life on the tour increasingly difficult in recent seasons and like contemporaries such as Dave Harold and Marcus Campbell before him, looks to be facing relegation from the circuit. That said, he does still have the European Tour option open to him with a good run between now and the end of the season, while as somebody like Gerard Greene and Mike Dunn showed a couple of seasons ago when in similar positions, players of his ability can still produce when called for. Summary: We have been here before with Scott of course, after he narrowly missed out on a top 64 place a couple of seasons ago and so saw his total reset to zero. Again, he is currently well-placed for a repeat thanks to his current position on the European Order of Merit, although some £16,000 off the top 64 at least the reset should not be quite as frustrating for him this time. Another two or three wins at European Tour events should be enough to make sure of his place. 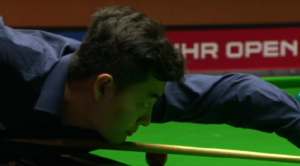 Summary: His return to the main tour last season proved to be a tough one, though not without its highs as he of course defeated Ding Junhui on television at the Welsh Open, as well as winning his opening match at the World Championship qualifiers. He has however shown improved form this term and having already earned £2,325 on the European Order of Merit, like Donaldson above is currently handily placed to earn himself another two seasons on tour via that route. Summary: Another man with a notable win on TV against Ding recently is Michael Wasley and he will need to recapture some of that form sooner rather than later if he is to avoid a return to Q School at the end of the season. Michael must win at least three, more likely five or six matches now at the season’s remaining three European Tour events if he is to earn a fresh tour card, or perhaps run deep at the upcoming Haining Open. 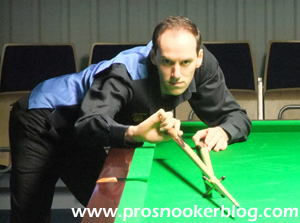 Summary: As above for Michael Wasley, although discounting the comment about the Haining Open as David has decided against entering that event. Summary: As above for Michael Wasley. 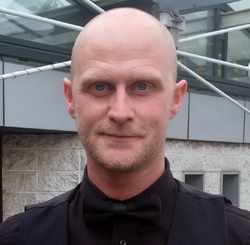 Summary: As above for David Grace, although he is a little closer on the European Order of Merit having won one such match already this season. Summary: As above, but with two match wins on the European Tour, the Scot is in touch of those in qualifying places above him. Summary: In need of a deep run at the Haining Open, as he has not participated in European Tour events this season and finds himself adrift on the main two-year list. Summary: As above, has not entered an event since the 2014 UK Championship. Summary: As above, has not entered an event since the 2014 ET3.